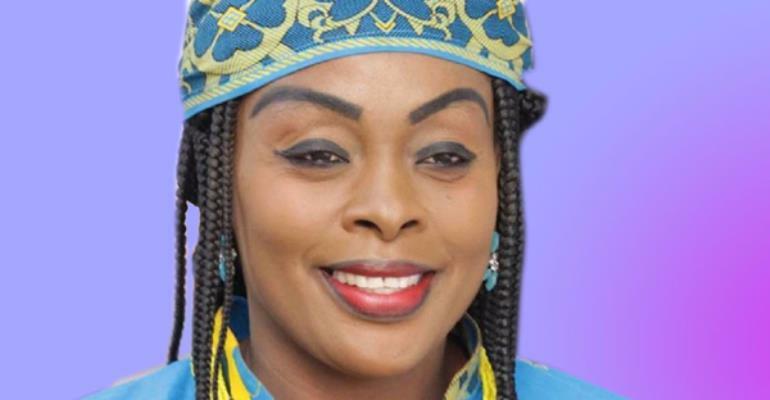 An Accra Circuit Court judge, who is hearing the case involving Ghanaian musician Akosua Adjepong, has defended her actions in view of comments made by B.T Agbeli, counsel of Akosua, which sought to impugn her reputation. Frank Agyemang Badu, a building contractor alias Killer, who is on trial together with Akosua Adjepong for conspiracy to commit crime and fraudulent transaction of land charges, has begun refunding the money he reportedly took from the complainant. He has paid GH₵25,000 to the court. But the move did not go down well with Akosua Adjepong's lawyer, who raised objections as to why the court accepted the money in the criminal case. He was of the view that the money should not have been accepted since the matter was a criminal one. The judge, Mrs Priscilla Dappah Mireku, however, did not take kindly to the lawyer's statement. According to her, although the case involves criminality, the court must ensure that the fundamental human rights of both the accused persons and the complainant are protected. “I value my integrity and I will not do anything to jeopardize my integrity,” the judge fumed. She therefore criticized the lawyer's statement. Meanwhile, the trial has been adjourned to March 24, 2018 for further cross-examination of the complainant. This was necessitated by the absence of one of the defence lawyers who was reportedly indisposed. When the case was called, Akosua Adjepong's lawyer told the court that his colleague was sick and had to seek medical treatment. He therefore prayed the court to adjourn the matter to allow Frank's lawyer to continue with the cross-examination. The judge held that although Mr Agbeli did not present any document to prove that his colleague was indisposed, the court will take him his words and adjourn the matter. She, however, ordered the defence lawyer to present evidence to the court at the next sitting that he had attended hospital. She also warned that she will not countenance the delay of the trial any longer and told Akosua Adjepong and her accomplice that at the next adjourned date, the trial will continue without the lawyers. At the last adjourned date, Akosu Adjepong was saved at the last-minute after she walked into the courtroom just after the judge threatened to issue a bench warrant for her arrest. Akosua Adjepong, together with her brother, Frank Agyemang Badu, a building contractor Alias Killer Boss, are before the court for conspiracy to commit crime and fraudulent transaction of land charges. They are alleged to have defrauded one Jonas Asamoah to the tune of GH¢160,000 and a Toyota RAV 4 valued at GH¢100,000.